This is a sponsored campaign with California Strawberries and Society Culinaria. All ideas and opinions about my strawberry whoopie pies are my own. Strawberries are the glamor queens of berries. They are so beautiful and shapely, not to mention absolutely tasty. 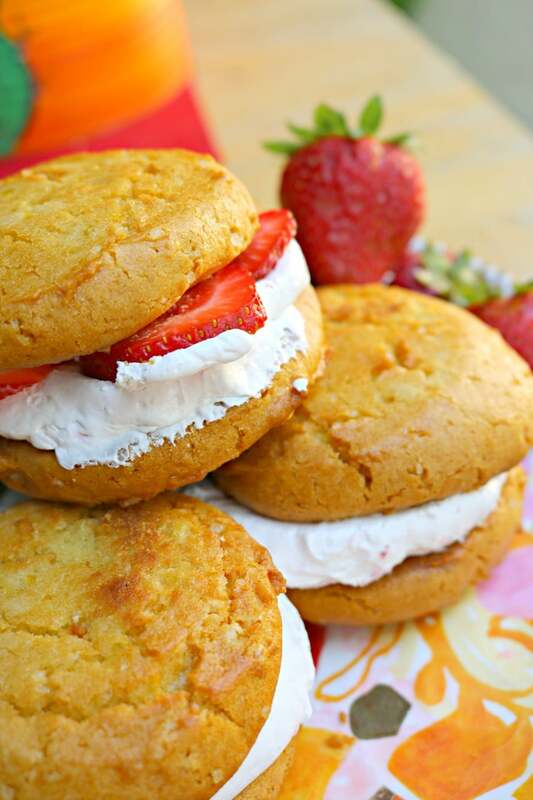 It’s no wonder people love to get creative with them and make all kinds of delicious recipes, just like these strawberry whoopie pies! There are so many ways you can make these – and serve them. You can make bite-sized versions, or just top one cookie and top with crushed cookies or sprinkles. And you can play around with the flavor of the cookie too. I used lemon cookies for these. They go great with California Strawberries! Chocolate cookies or birthday cake would be fun too. Don’t be afraid to get creative! Aren’t these pies just perfect? 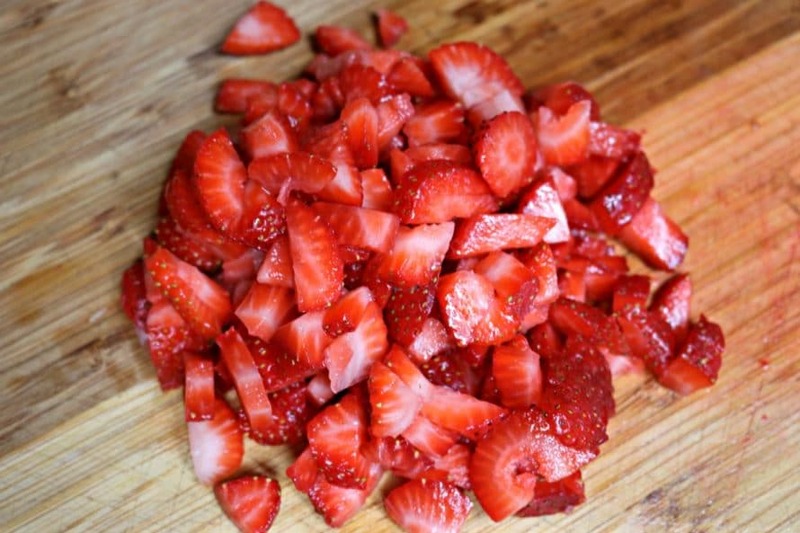 They are a sweet and snappy snack where strawberries take center stage. Did you know one serving of eight strawberries has more vitamin C than an orange? That’s 110% of the recommended daily value. And they are low in sugar. Only 50 calories per one cup serving. Plus they are packed with beneficial antioxidants. 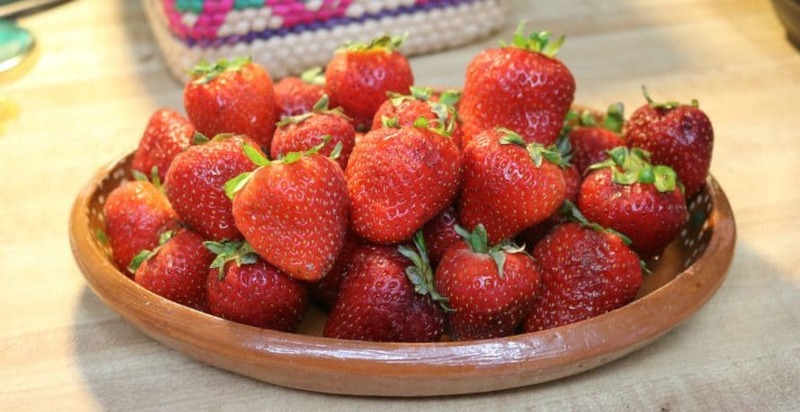 For more information about strawberries, visit www.californiastrawberries.com! For this recipe you can create whatever size of cookie you want for the outside, from mini to jumbo! Makes 6-8 large, or 12-14 small, prep time one hour. Non-dairy alternative: Use non-dairy whipped topping with fresh strawberries. Mix. Cookies: In a large bowl, mix the box cake, eggs, and oil to create a gooey batter. Roll into balls and place on a cookie sheet a couple of inches apart. Bake according to box cake package directions. Remove from oven and let cool. 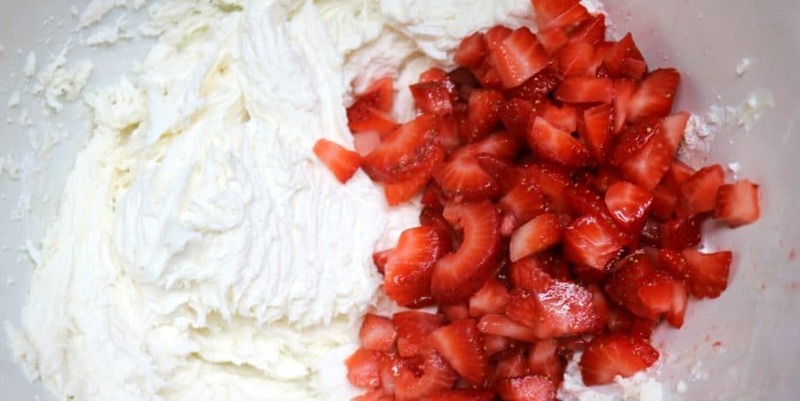 Strawberry filling: In another large bowl, place butter and beat until creamy. Add powdered sugar and vanilla and beat until fluffy. 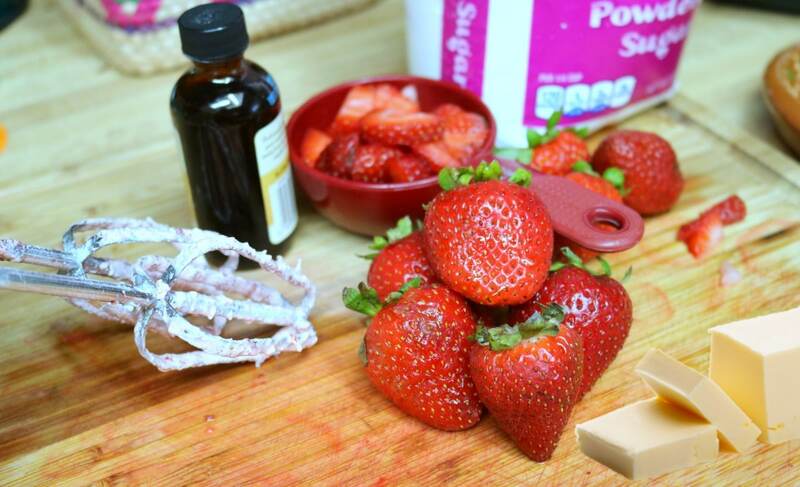 Add the diced strawberries and fold with a spatula until well incorporated. To build Whoopie Pies: Take one cookie and top with filling. 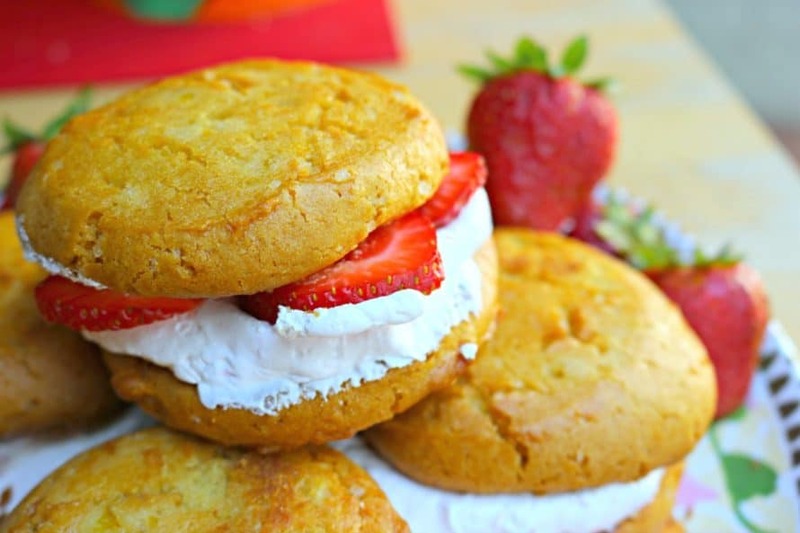 Add strawberry slices and top with another cookie to create the whoopie sandwich. I added a lot of strawberries, but you can dial back to whatever you like! Then mix again until fluffy! This alone is a treat in itself! 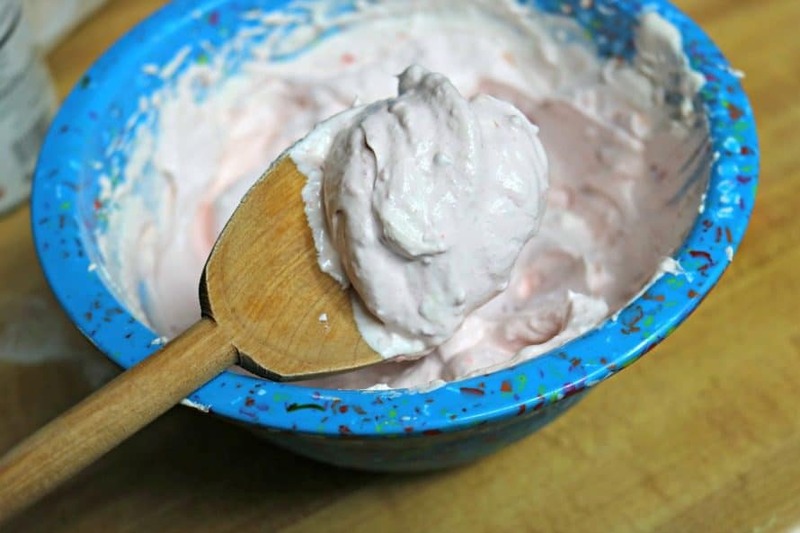 It’s light and sweet, you can use it as a topping or just eat it as is with California Strawberries on the side to dip, but for this recipe, it will be our Whoopie pie filling! California Strawberries is offering monthly #GetSnacking giveaways on Instagram that run from the 1st weekday of the month to the last weekday of the month! To enter to win, head over to the #GetSnacking campaign page to get the details. The entry is easy – just tag your strawberry creations on Instagram with @castrawberries and include the hashtag #GetSnacking. 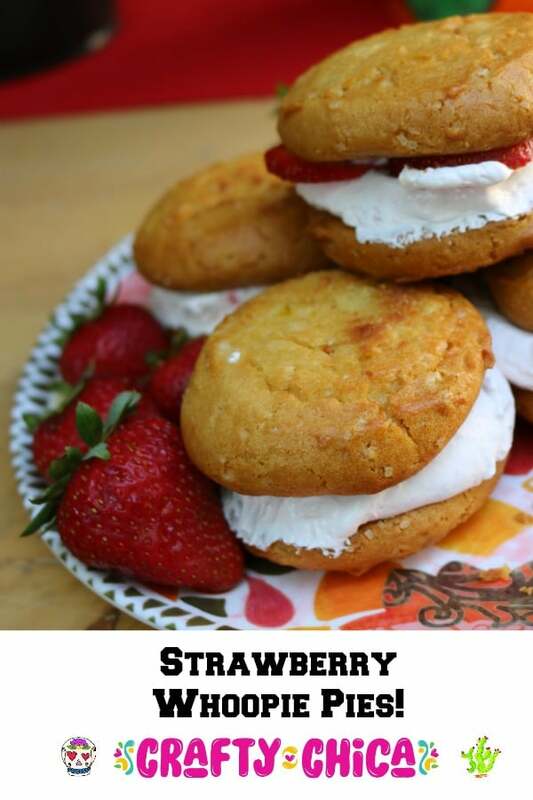 Thank you so much for reading, I hope you like your Strawberry Whoopie Pies! Previous ArticleCrafty Chica shopping guide for summer!